During your next visit to a thrift store be sure to peruse the book section. 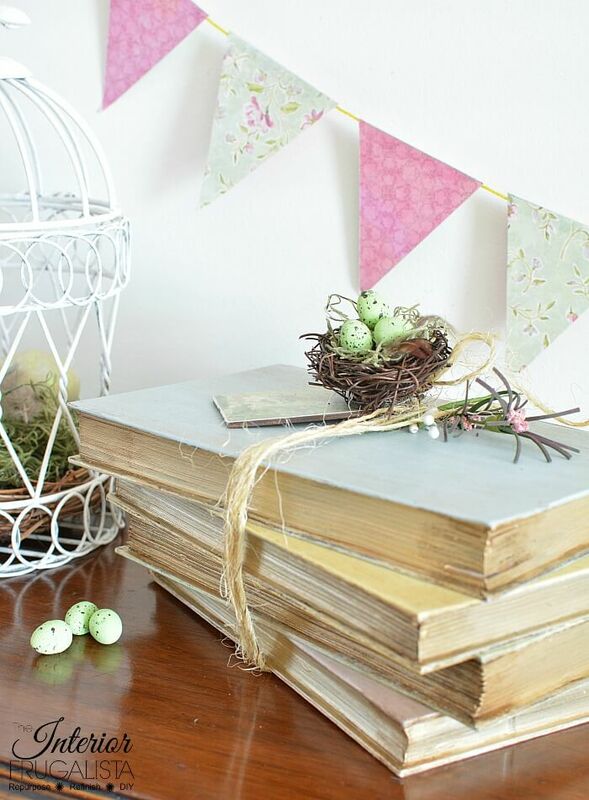 Hardcover books are perfect to use for accessorizing a room. Stacked on a coffee table, used to raise decor on bookshelves, set on a dresser wrapped with pretty ribbon - the possibilities are endless. To make them even more eye-catching what about painting them in pretty colors? 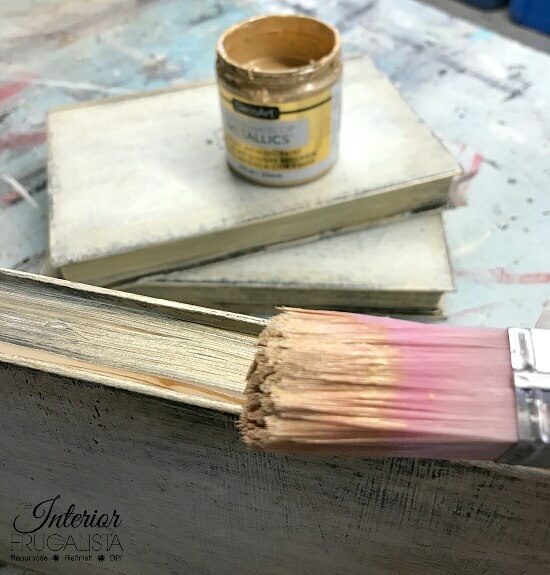 Here I show you how to paint decorative books in soft pastel colors for Spring and how to make them look old. 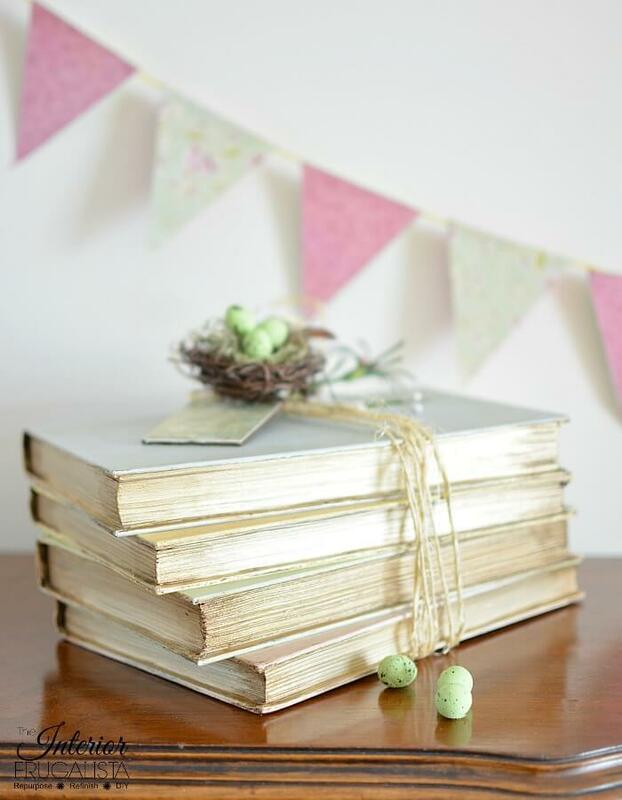 This is such a fun and easy craft project and what a great way to keep those old books from ending up in the landfill. 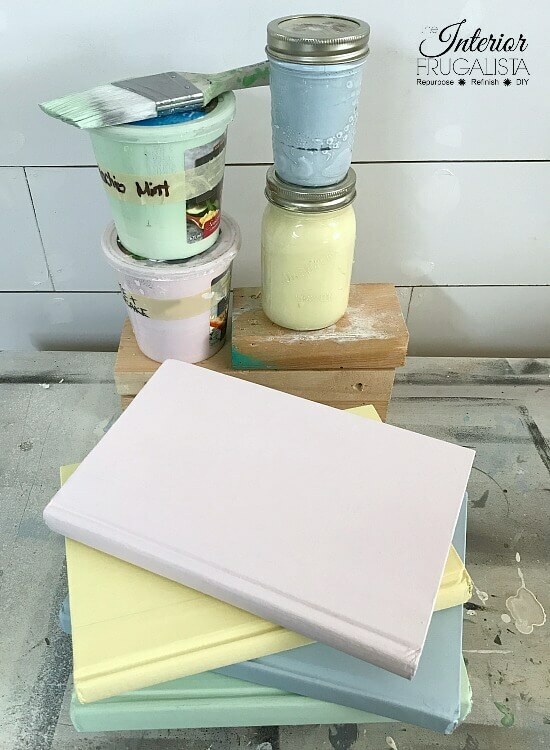 These pretty pastel books will be used for my Spring coffee table vignette but would look pretty on a dresser in a child's room. But the color possibilities are endless for making them work with your home decor. I chose four books around the same size, one slightly smaller than the other to add visual interest when stacked. I'm one of those people who love things asymmetrical and a little less perfect so my preference is to stagger the books on the stack. The ends of the book pages are glistening with metallic gold paint and aged along the edges. 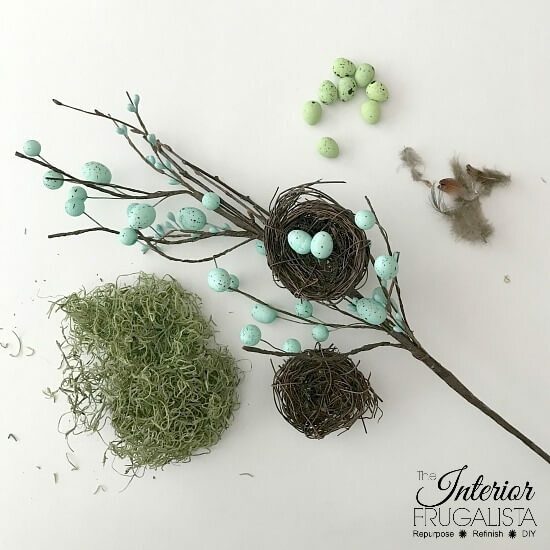 Bound together with sisal twine and embellished with a small birds nest, they are ready to be displayed for Easter and the entire Spring season. The first thing I did was with the books closed, paint the outside edges of the pages with gold metallic paint. The gold looks so pretty with the pastel colors but we'll be doing more to the gold later in this post. The possibilities for painting the covers are endless - choose colors that work well with your decor. For mine I painted them with soft pastel leftover chalk paint in the colors pink (vintage cupcake), mint (pistachio), yellow (creme brulee), and blue (I think Elegance but the jar wasn't labeled). All from the Country Chic Paint line (not an affiliate just sharing the love). Two or three thin coats of chalk paint look better than one thick coat. 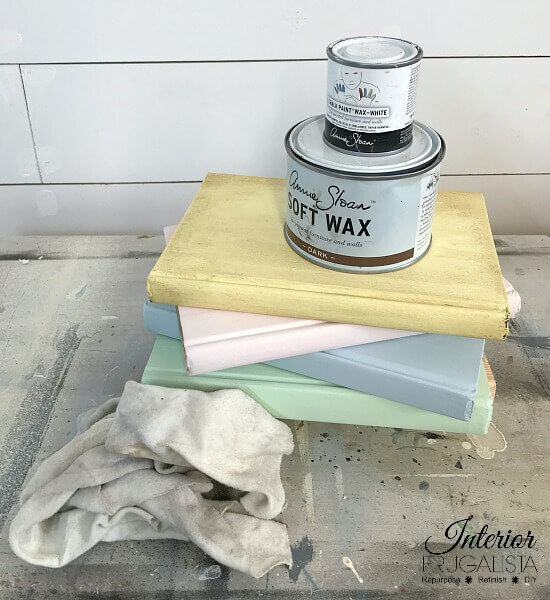 Chalk paint dries quickly so you can apply the second coat within 30 minutes. 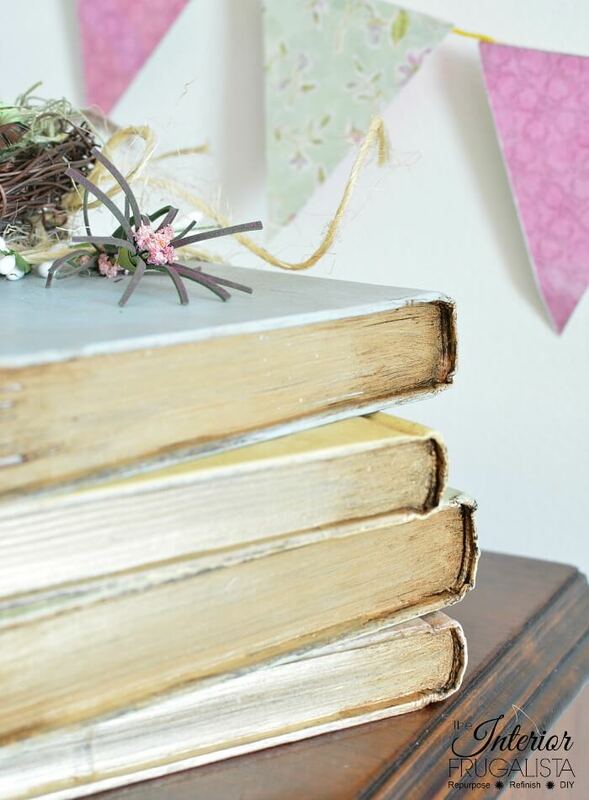 Once the chalk paint is dry it's time to have fun by making the books look aged. It's really quite easy and I'll show you how. If you've never done this before it may seem intimidating but just remember dark wax can always be removed with clear wax while it's still wet. The key is not to get too much dark wax on the rag and don't apply too much pressure with your finger. Also, it's important to age just one book at a time. 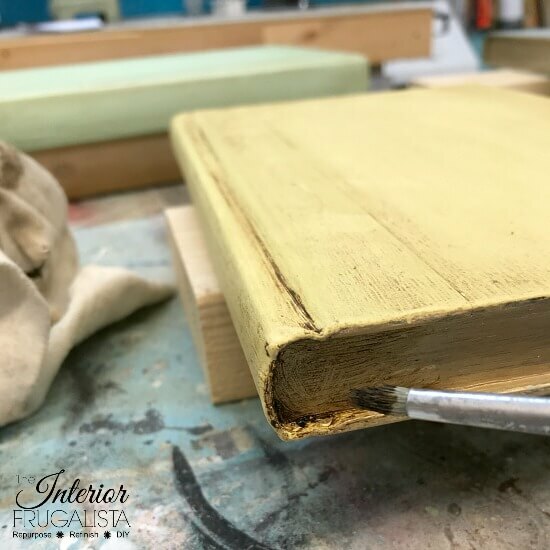 First, apply a coat of clear wax without buffing to act as a resist for the dark wax not to stain the books but rather give it some play time for blending. I used white wax to soften the pastel colors even more. You can use a brush to apply it but my preference is a lint-free rag. Use one end of the rag to apply the white (or clear) wax and the opposite end to apply the dark wax. Dab a little dark wax onto your rag and with light pressure feather the wax along the edges and spine of the book (pictured below in Step 1). 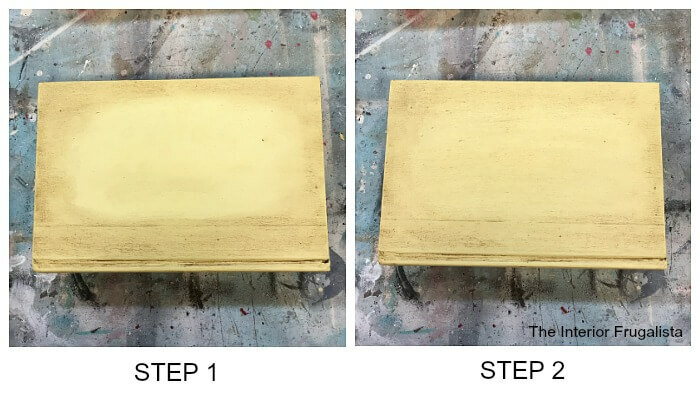 Before the wax has time to absorb blend the excess dark wax towards the center of the book in up and down motions, leaving more dark wax around the edges (pictured above in Step 2). Don't panic if you put too much dark wax in some areas. Dab some clear (or white wax) over those spots to remove the excess dark wax. With a small artist brush, apply dark wax onto the book pages around the spine of the book (as pictured below). While you still have dark wax on the brush feather some on each end of the book pages as well where they naturally age over time. To make them even prettier displayed as a set, wrap pretty ribbon, lace, string, twine, or sisal rope, like I did, around the stack of books. Tie pretty embellishments onto the twine like beads, charms, whatever you like. 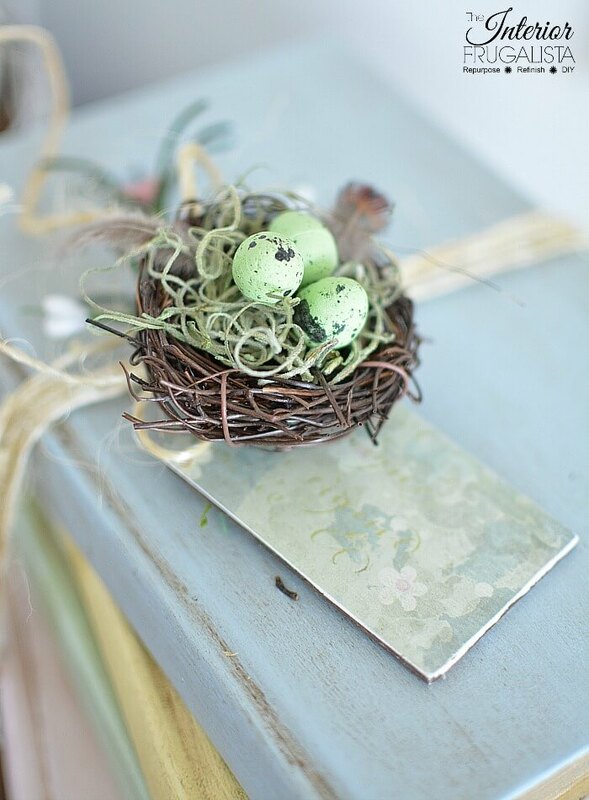 I embellished mine with a tiny birds nest and decoupaged wooden tag for Spring and Easter. The Easter floral picks, mini foam eggs, feathers, and moss were all purchased from the dollar store. I used a small nest from the floral pick and removed the blue eggs. Next, I hot glued some moss inside the nest and replaced the blue eggs with green speckled ones that came in a package of 30. I found a bag of assorted craft feathers and glued a couple in the nest. Easy peasy way to embellish the books! You can buy these wood tags readymade but I made mine with a sheet of craft balsa wood that I had on hand. Easy to make with a straight edge and sharp craft knife. 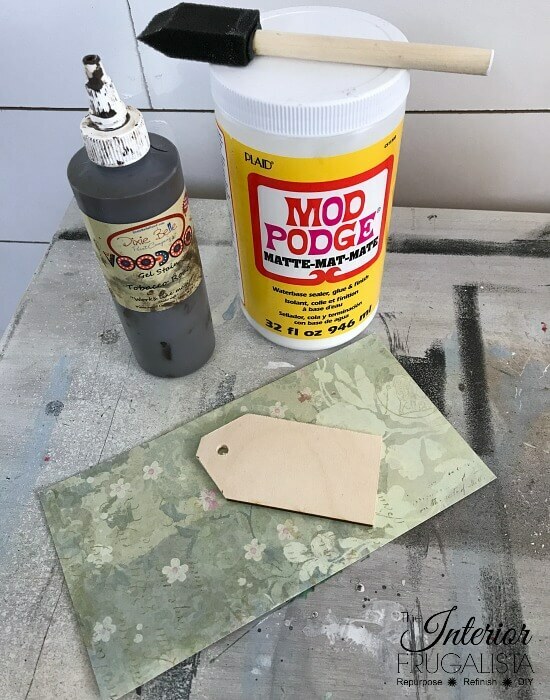 I stained one side with this water-based stain and decoupaged pretty floral scrapbook paper onto the opposite side with Mod Podge and a foam brush. Super easy! So what do you think? Have I inspired you to go through your old books? 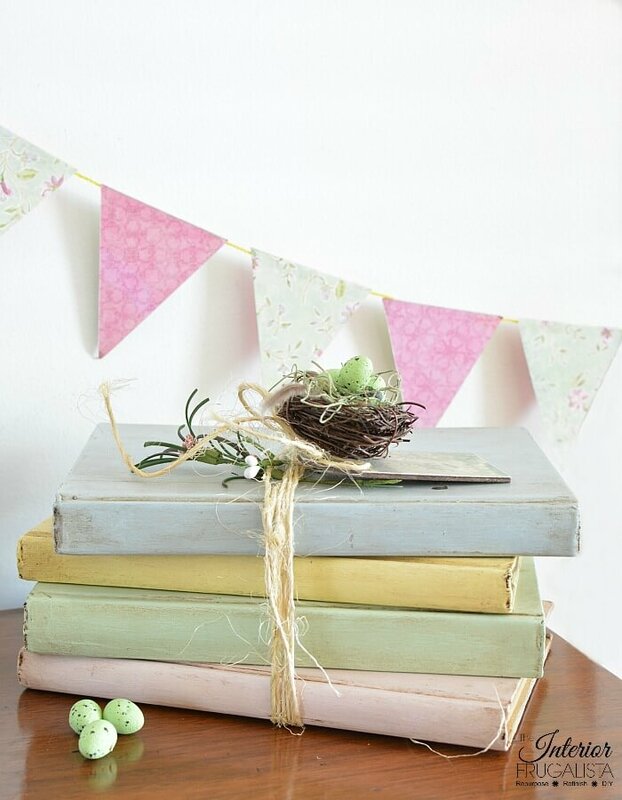 For more DIY Easter and/or Spring ideas press HERE. Thank you so much, Denise. That means a lot coming from you, the Queen of gorgeous styling AND photos! Thank you Tania! It feels good to put the box of old books to good use. Thank you very much Robyn, appreciate that 😊 Have a great weekend! Marie, those are just delightful! Perfectly spring and anyone can do it. Thank you Larissa!😊 Exactly, a fun and easy craft for Spring! Never thought about painting books before. I have been inspired to rip off covers but these are beautiful, maybe I should leave the covers intact. 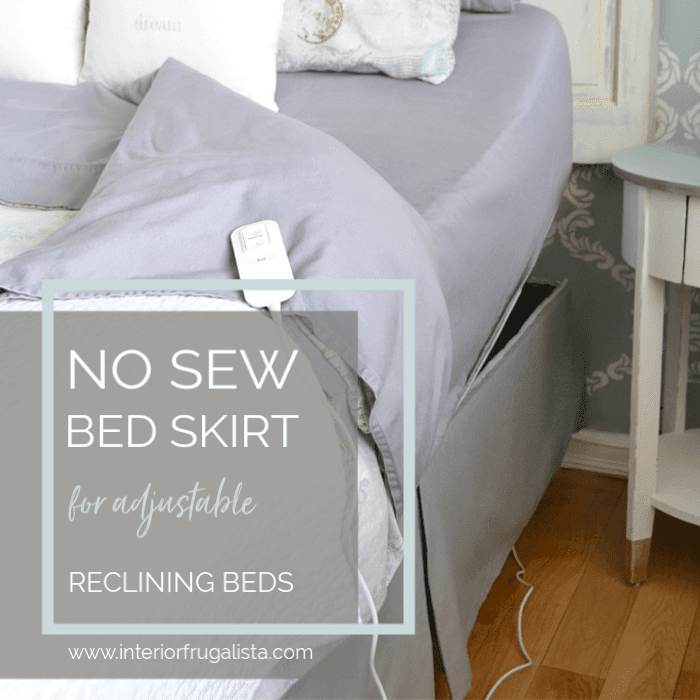 Yes, I rip off the covers and wrap them in pretty ribbon too but painting covers gives you a couple of options for creatiing pretty vignettes. I plan on painting some for Fall, the holidays...well you get the picture. A lovely idea! I like pastel colors and how it looks like together. Thank you for inspiration. Marie, these are too cute! I have lots of old books but have never thought about painting them to get colors I want for decorating in different seasons and I can change the paint color throughout the year! I love these! Hope you will consider sharing at Celebrate Your Story which is now live on my blog! Have a great day! Hugs! Thank you so much, Benita! I'm glad you walked away inspired to paint some of your old books. Wishes for a great day back to you! I love this project. I've been waiting until I had some books I wanted to donate to the DIY cause. I have every supply needed to replicate your look. Never thought of using pastel paint colors. Great idea and thanks for sharing. Yay, so glad you have everything to replicate the look of these pretty pastel painted books. Have fun painting yours, Carol! 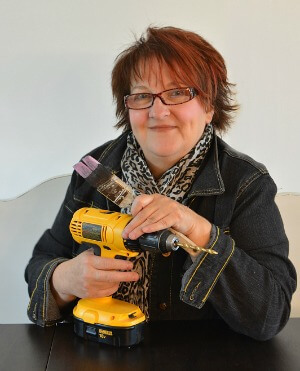 Love that you shared two projects in this one post! Pinned! Thanks for the pin, Julie! I don't share more than one project per post often but sometimes they just warrant it. 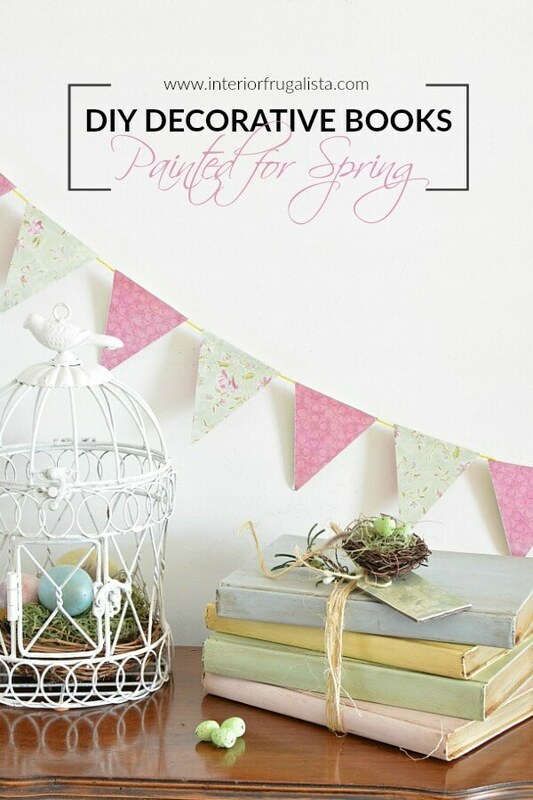 I'll be doing it again next week with another Spring idea. Old enclyopedias are perfect for this, Leanna! I'm happy to be putting all those self-help books from the 80's to good use instead of collecting dust in the basement. Painted books are perfect furniture makeover photo props too so you'll be seeing these ones again soon on the blog! 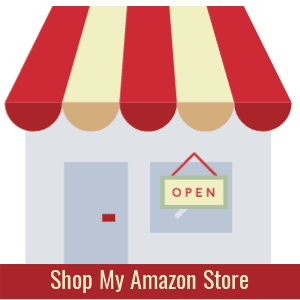 Thank you for hosting, Marilyn and for the pin! Marie I never thought painted books could look so awesome till I saw yours. The wax and gold really add so much to the overall look of the books. Thanks for sharing this great tutorial with us. I need to go back and not throw out those old books but use them in this way and I know just the colors I will use. Thanks for the inspiration! 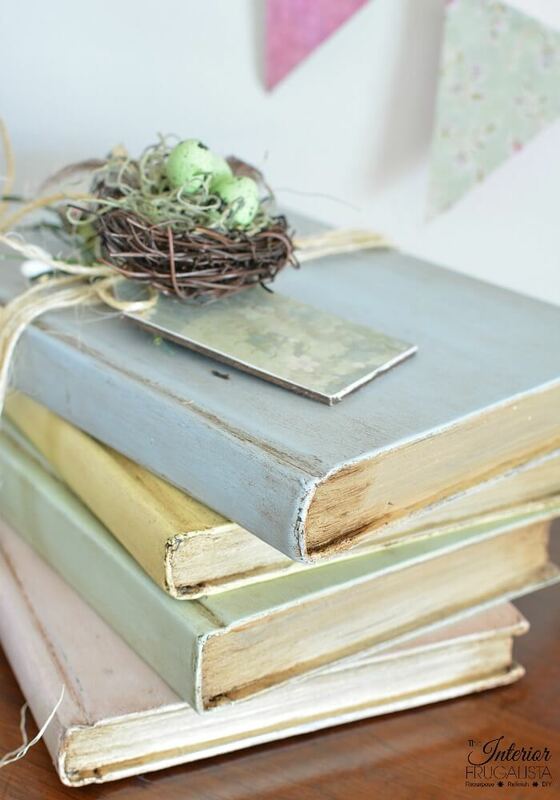 Such a great idea for old books that have less-than-desirable covers, Marie! And such pretty spring colors! Thank you Lora! I've got more waiting to be painted for other seasons. The possibilities are endless for painted hardcover books. 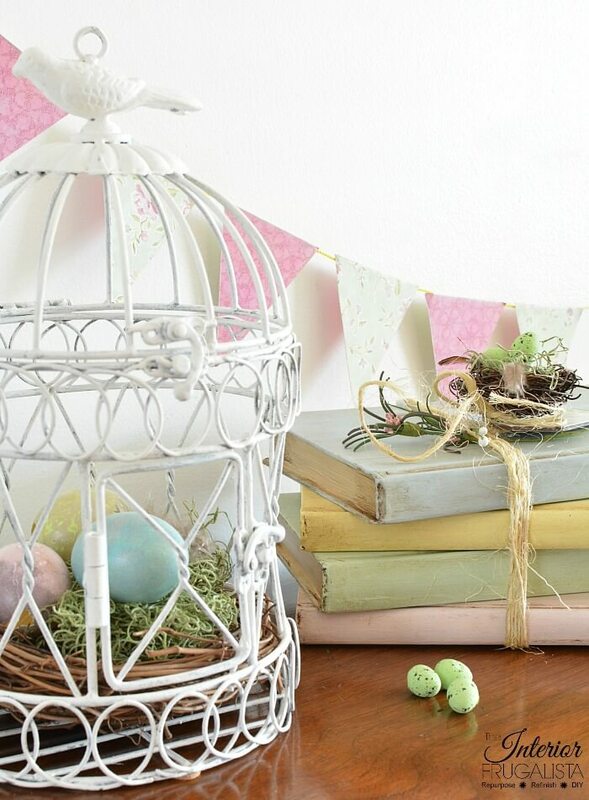 Such pretty decoration for Easter/Spring! This will be one of my features this afternoon at the Snickerdoodle link party! Outstanding idea..gotta go find me some books!